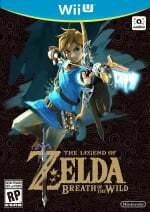 If you have been collecting amiibo from the start, The Legend of Zelda: Breath of the Wild is the perfect opportunity to cash-in your efforts on both the Wii U and Switch versions of the game. 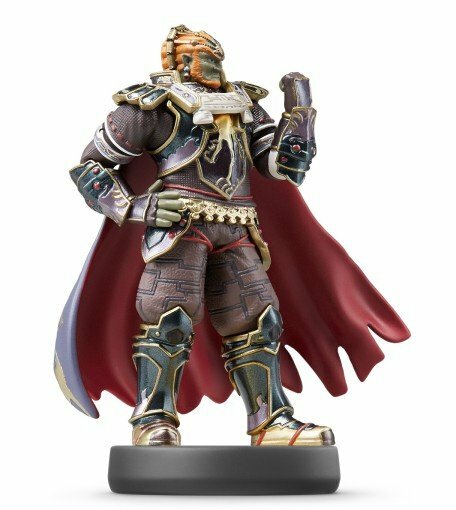 Every single amiibo released out there (including amiibo cards!) will work in the game, summoning cooking or crafting materials from the heavens for you to easily pick up, something that is rather handy in the early parts of this great adventure. Throw in any Legend of Zelda amiibo and things get even more interesting, with chests dropping from the sky that can have anything from weapons to legendary outfits inside. 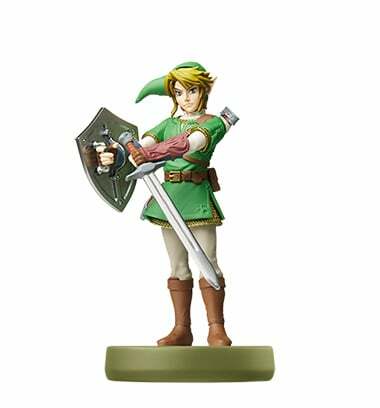 Let us take a closer look to every single Zelda themed amiibo released so far. Otherwise the chest will contain miscellaneous swords, shields and elemental arrows. It drops along with fruit and meat items. This amiibo will reward you with bows and rare gems. If you are lucky, it will drop a chest with the unique Twilight Bow. Along with the chest it drops random herbs. Surprisingly it doesn't drop the same items as Zelda. The chest will contain either a Sheikah sword, a Shield of the Mind's Eye or some elemental arrows. Get lucky and it will drop the unique clothing item Sheik's Mask that when equipped will give you a stealth bonus. The chest drops with assorted mushrooms. Get even luckier and the chest might contain a unique weapons: The Seabreeze Boomerang. As one might expect, the chest comes with an assortment of fish. The bad guy's chest might contain claymores, rare monster parts or rare gems. Get lucky and it will drop the unique weapon Sword of the Six Sages. The chest drops with barrels that once broken will drops Rupees and supplies. Beware that sometimes the barrels are explosive ones, one last dirty trick from the series antagonist. There is also a chance that the chest will contain the exclusive weapon Legend of Zelda Sword. The chest always drops with barrels that once broken will contain Rupees. There is also a chance that the chest will contain a unique weapon: the Biggoron Sword. The chest drops surrounded by an assortment of meat items. 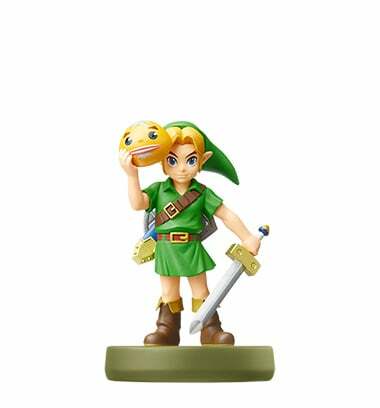 This amiibo acts just like the Smash Bros. Series Toon Link amiibo. The only difference is instead of broadswords the chest might contain miscellaneous swords and boomerangs. This chest will either contain either shields or rare gems. Get really lucky and it will contain the exclusive Hero's Shield. It drops with an assortment of plant items for cooking. As one might expect, the summoned chest will contain bows or elemental arrows. It drops with a random assortment of meat, fish and regular arrows. The summoned chest will contain broadswords or elemental arrows. There is also a chance it will drop either the Traveller's Bridle or the Traveller's Saddle that you can equip in your horse of choice. It is accompanied by a miscellany of mushroom items. The chest may contains shields or rare gems (including Star Fragments!). Despite not being a unique item the chest may contain the Radiant Shield, a fantastic shield and a great help to have early in the game. These pests chest will of course drop Bokoblin weapons and shields, often with stats bonuses. Sometimes they may even contains elixirs. The chest drops with raw meat and random monster parts. These mechanical nightmares will drop with a random chance of Guardian weapons and shields, proving to be one of the best and easy ways to top up your inventory with high tech items. There is also a chance that it may contain Guardian arrows and ancient cores. The chest drops with a few metal boxes that once broken (use the Bomb rune) will drop either arrows, machine parts or valuable gems. 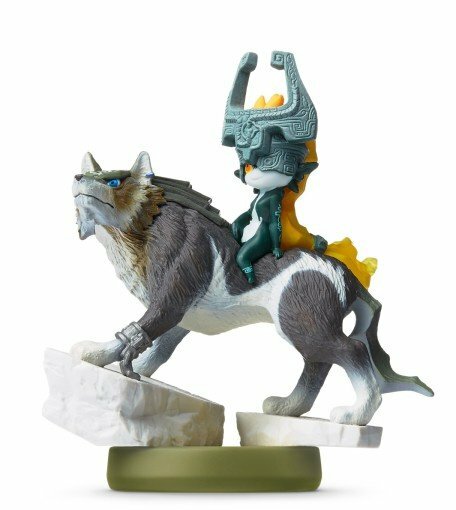 Last but certainly not least, the Wolf Link amiibo will summon itself to your side. If you never played with it on the Wii U version of Twilight Princess HD it will default to having three heart containers. If you have played with it to progress in the Pit of Trials, it will have more hearts and be a much reliable aid. It is a very capable hunter, often spotting and attacking animals before you do. It will also attack enemies, being a very able fighter on its own. It will however lack the better judgment of leaving Guardians alone, charging at them or even waking up sleeping ones. You can replenish its health by feeding him meat or leaving the meat from what it hunted to snack on. Note that he cannot enter any of the villages in Hyrule; you will get a message saying it was "returned to its own world". To prevent this, simply lock on to Wolf Link and order him to "Stay" outside the village, returning later and again using the lock command to order it to "Follow". Did you fail to secure a Super Smash Bros lineup Link back in the day? This amiibo is for you since it acts just like one of those. If you’re still out there looking for Epona, now is your chance. If the Goddess smiles upon you, you might be able to find one other exclusive item inside the dropped chest: the beautifully crafted Sword of the Goddess, a one-handed sword to rival any other within the realm. We call her Fi for short. The Gerudo Champion amiibo will always summon several types of meat. Her treasure chest may contain weapons of her tribe, including the beautiful Moonlight Scimitar. Get baffled with good fortune of the Gerudo desert and you might find the exclusive Divine Beast Vah Naboris Helm. You can use this Helm as part of the Ancient Armour Set, it will give you the same Guardian Resistance bonus plus Shock Resistance Level 1. The Rito Champion amiibo will always summon arrow bundles and fruits. His treasure chest may contain weapons of his tribe, including the precise Falcon Bow. Get baffled with good fortune from the Rito mountains range and you might find the exclusive Divine Beast Vah Medo Helm. You can use this Helm as part of the Ancient Armour Set, it will give you the same Guardian Resistance bonus plus Cold Resistance Level 1. The Zora Champion amiibo will always summon an assortment of fish. Her treasure chest may contain weapons of her people, including the Silverscale Trident. Get baffled with good fortune from the Zora waterfalls and you might find the exclusive Divine Beast Vah Ruta Helm. You can use this Helm as part of the Ancient Armour Set, it will give you the same Guardian Resistance bonus plus Swim Speed Up Level 1. The Goron Champion amiibo will always summon a selection of assorted ores. His treasure chest may contain weapons of his people, including the devastating traditional Stone Smasher. Get baffled with good fortune from the hot winds of Death Mountain and you might find the exclusive Divine Beast Vah Rudania Helm. You can use this Helm as part of the Ancient Armour Set, it will give you the same Guardian Resistance bonus plus Flame Resistance Level 1. That's all for now. You certainly aren't required to have the amiibos to fully enjoy the game, but for those people that do have them they certainly provide a very good boost in earlier stages of the game. Those UK, third party seller amiibo prices are laughable. Sod that. I'll pick them up in time but not too fussed at the moment, anyway. They really, really need to restock these amiibo. Breath of the wild is one amazing game. I'll work with the wolf soon, haven't found the motivation to invest in any other amiibo yet. A number of these say "if you're lucky...."
But you can scan each amiibo as many times as you want right? get more food, chests, or whatever? Each one works once a day? So Wolf Link if I use with TP in the middle it will write in and Wolf will be upgraded version later? 100% speedruns (if there ever is such a thing) may require you scanning amiibo for the best times. I'm not sure if you could really justify using amiibo just for some gear/materials in a speedrun, but it sure would be hilarious. "In order to attempt the world record for BotW, you must have the correct amiibo." When I was into the amiibo craze I didn't get the Link Smash Bros amiibo because I was focusing on getting all the rare ones first. Now that I hear it gives you Link's outfit from Twilight Princess I've frantically been searching for it and can't find one anywhere on store shelves. I've actually found all of the Breath of the Wild amiibo except for the Guardian but no Smash Bros Link. Oh well. AND I OWN ALL OF THESE AMIIBO. I am a food mogul! Link could open his own store...if he wasn't being murdered all the time and having to eat a page of food to stay alive. Sigh. Been riding around with Epona for a bit and she is great. Sorry wild horses. I think some of the Link ones count twice because I tried scanning OOT Link and Smash Link and was told I could only scan the second amiibo once (meaning id already scanned it) I'll test again tonight when I get home. Didn't know about the Guardian...I was afraid it would drop a Guardian so I never scanned it. EDIT: Wait...every single amiibo nets you stuff? Ok gotta dig out the rest of my amiibo boxes. I might buy one of the cheaper amiibo for the unlocks. Through the site of course! Hopefully if nintendolife know another outlet with better prices, they do right by their readers and link them as well, affiliate link or not. Otherwise someone might start making posts about SCamazon SCamiibo or something. You wanna know something weird? My sister is playing Twilight Princess HD, and opened her Wolf Link amiibo. She has not done the Cave of Shadows yet. When I load Wolf Link into Breath of the Wild, he has the full 20 hearts. What's up with that? Wolf is amazing. Though you're absolutely right, he definitely lacks 'better judgement' when it comes to engaging enemies that are waaay too strong for you. That said it did end up forcing a battle with a guardian on me right at the start of the game, we beat it by me distracting it with arrows as the wolf did damage. Really cool. @speedracer216 I think only Zelda-related ones lead to anything, tragically, so to my knowledge Waluigi may only bring you sadness. Also, you can scan them one time per day, as far as I know, so you may not get the good stuff right away. I've scanned Ocarina Link a good 5 times now and only gotten the Hat of Time thus far. EDIT: I tried using other amiibo previously and I'm certain I was told it wouldn't do anything... maybe I scanned in too many that day? (I know Hyrule Warriors would limit the number per day.) Regardless, I'll definitely try some other ones later on to get some bonus goodies! I never seem to be able to keep enough arrows in stock! @2CUTE4YOU It is because the amiibo has no previous save data. It is kinda nice actually. 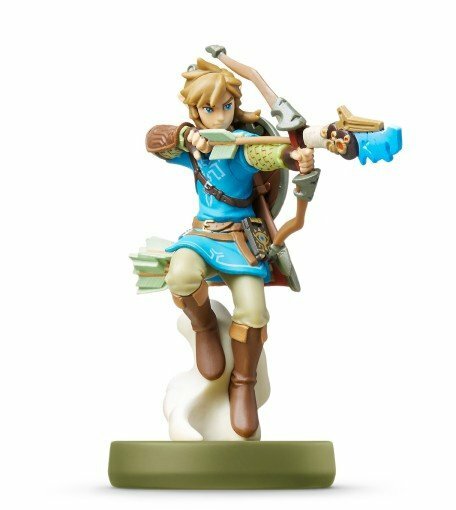 If you bought the amiibo for BoTW it is useful out of the box. If you used it in TPHD it is a nice reward for your hard work. @speedracer216 You can only receive items from an amiibo once a day, but you can save first and reload in order to have another try. And non-Zelda ones do work, but they don't give you much, and it's completely random. @dumedum As long as Wolf Link hasn't died that day you can actually scan him multiple times (but won't regain health when you do), as he will disappear when you enter certain areas. I'm not sure about updating the number of hearts though... that may need to wait until the next day. 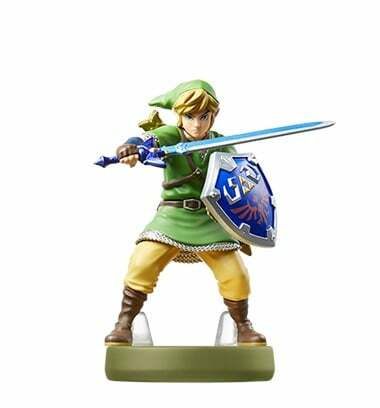 @speedracer216 only Zelda amiibo will yield chests, others will only yield consumables. You can scan each amiibo once per day except for Wolf Link, he can be scanned anytime but if he dies you can't scan him again that day. This pisses me off that I can't unlock this stuff in the game and instead am supposed to find and buy amiibo. I just kept reloading saves until I get the armor pieces, then I would change the date and do it again. I paid for the game and the plastic DLC, i'm not being walled off by a timer too. 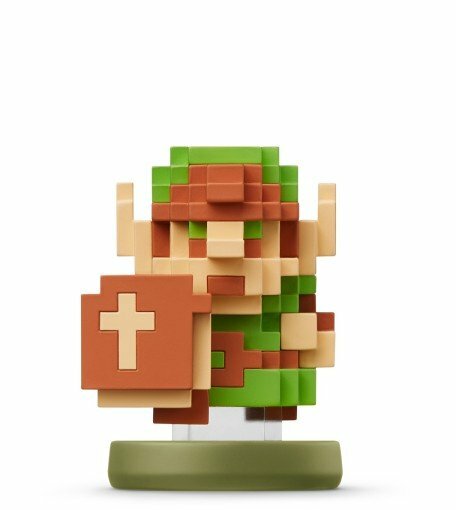 I've been tempted to get that 8-bit Link amiibo already, just because it's so cool. Guess I'll definitely have to now. Wolf Link is so cool. It's nice to see the amiibo doing something unique and helpful. Unlike that time I scored a cheap Meta Knight and discovered it only functioned as a power up in a Kirby game outside of Smash. @MarioPhD I scanned in a bunch of Mario series Amiibo, King Dedede and Falco last night for extra food drops. Oh, so it was a good thing I opened up my Guardian amiibo. Always opened up my amiibos without a second thought but when the Guardian came with a little paper meadow, I really did wonder whether to open up it or not. Anyway, I refain from using them until the postgame since I consider those bonuses cheating. Wait so what happens if you scan Smash Link for the first time, get Epona, but then die somehow shortly after without saving or getting her to a stable? Do you permanently lose her? With SSMB Link, It's worth noting that Epona will not appear in areas that a horse can't be at. Instead you will get the chest. I didn't get Epona my first several scans of him because I didn't know about her and I was in areas not fitting for a horse (Great Plateu, Zora's Domain, etc). @BraveSonic If the game doesn't save after you scan the amiibo, then it doesn't count as being used at all. If that happens, I would just load the last save before you scanned her in. Of course if you didn't register her at all she will come back with the next scan anyway. 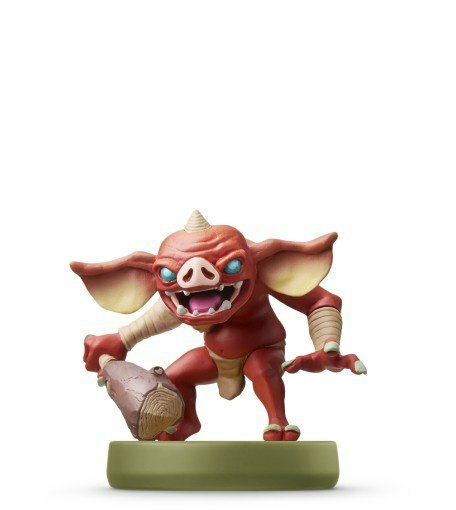 NOTE: I only got the Bokoblin because they had no other Legend of Zelda Amiibo in my local Game store! Can you use the amiibo everyday, or just once? I think the article confirms you can use them more than once but I need to know for sure. The Ganondorf bonuses sound like the most fun, if you get an explosive to throw at enemies where there normally is none . @speedracer216 You can only scan them once a day, so if you want to scan them more than once within a 24 hour period, you have to either set your system's clock forward or load a save point that you made before your last scan. @Ryu_Niiyama Yup, even the non-Zelda amiibos can be scanned once a day for a little bit of random food items. No chests, apparently, but I've gotten some helpful items nonetheless. I feel compelled to hold up my amiibo and reenact that scene with Scarlet o Hara and the turnip. At least I think it was a turnip. Maybe it was a radish? @xxAcesHighxx once per 24hrs it seems to be. I've not had any of the cool stuff yet, apart from Epona. This game finally has me wanting to buy some amiibo. Unfortunately the main two I want (OoT link and Smash Bros link) are out of stock... How likely is it that they'll be restocked? Am I just too late? I got all besides Sm4sh Zelda, Sheik, sm4sh toon link and OOT Link, really would like to get OOT Link some time, it's alright trying to have one of each of the "main" amiibo, but when Zelda was released with all the BOTW amiibo...I went a lil nuts. As mentioned, you can keep changing the clock to grab more items. It's a shame the other amiibo don't give out some rare items. Mario's Dungarees giving a small jump bonus or having Shulk's red shorts or even the Monado! Fire Emblem outfits, Falcon PUNCH Sword or Ryu's Karate Pyjamas. Or a Varia Suit of armour with heat resistance! @Alshain01 is it random on what scans she comes back? 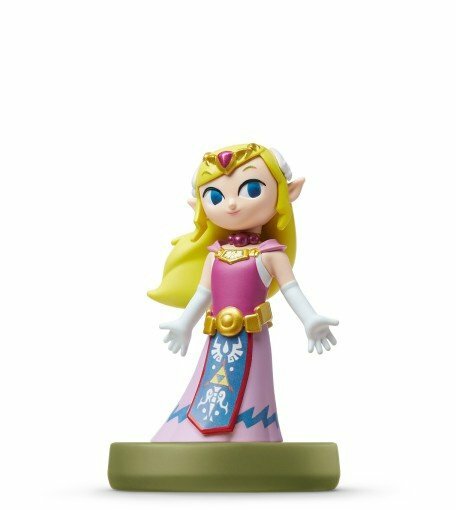 I've scanned Smash Link several times since that day and still haven't gotten her back. I really don't want to load that save since I've made a lot of progress since then. @Alshain01 That is epic! Might have to borrow my old amiibo from my brother then. Thanks for the info! @BraveSonic No, you get Epona when you rescan Link. Link will only drop chests after you registered Epona at a stable. @Alshain01 Lol I wish I knew that last part. I left her in some field while going to Zora's Domain before I had seen a stable, and then frantically tried to find her because I thought she'd never come out again. Fortunately, I found her anyway. Registered her immediately. "Stick with me, and you'll never go hungry again!" said each Amiibo. @speedracer216 I believe it's limited to once a day. EDIT: Nevermind looks like 4 other people have brought this up already. @Shiryu I never registered Epona because I hadn't got to a stable before scanning Smash Link and got shot by a Guardian before I got a chance to save. So should I just keep scanning Smash Link? @BraveSonic Yes, if you're in an area that allows horses, she will be summoned again. I have Smash Bros. Link and Wolf Link SCamiibo. Haven't used either. Haven't felt the need. I haven't used my registered horse either though I did build up 100% affinity. I've gone miles off the beaten track, was supposed to go to that first village early in the game, still haven't but have seen other villages, just as well so I left Spotty back at the stables. No way he'd be able to go where I am. This game is a colossal beast. I scanned and got epona without realizing she will die and disappear and I'm in the middle of nowhere way up high and have spent an hour trying to get to a stable. Ugh! @Tyranexx I had to FIGHT not to post that earlier, Scar. Disney has me trained. "Long live the king!" I'm watching these amiibo go up in value and I feel a bit bad for opening my ganondorf specifically for this game. But I imagine all the breath of the wild and anniversary ones will get restocks. Well, only Wolf Link amiibo is available in my local game store. Maybe I will buy one.... for Animal Crossing New Leaf Welcome Amiibo to unlock Wolf Link as a Villager. Hi. Still hate Amiibos as usual ? Let's other people enjoy using Amiibos. No need to express how useless to own Amiibos with expensive prices. This has only once again highlighted the farce that is Amiibo availability. Fortunately I have all the Zelda ones, but clicking on the Amazon link which states £9.99 takes you to scalper land and prices of 60 quid! 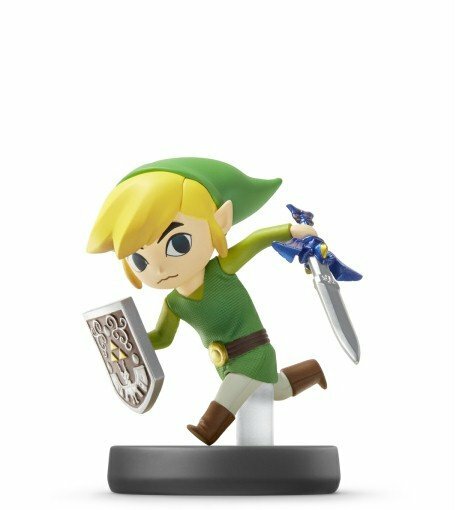 Was curious so went to eBay.... An unboxed Smash Bros Link is £35.00! Why on earth are Nintendo not making more of these? They must have realised how high demand would be for related Amiibo's? @BraveSonic Make sure you are in an area where a horse can be normally obtained. It's best to be standing next to a stable. If you are in an area where you can't normally take a horse, she won't appear. @BraveSonic I got Epona once when I only had one stable open which was clear on the other side of the map, so I lost her. It took me a couple days of scanning, but I got her to show up again. Also, Smash Link did NOT give me Epona. No matter how many times I tried. It was my OoT link. Yes, the one with him holding an ocarina! Strange. If you get one of the exclusive weapons and it breaks, is it possible to get it again? @Ryu_Niiyama: I blame the tagline, plus the fact that I was practically raised on Disney animation. Glad that someone got the reference! Love amiibo in this game. Absolutely useful, it feels so good to have awesome content like Wolf Link with 20 hearts and Epona that people who didn't pay for it don't have. Was getting sick and tired of my purchased amiibo DLC being useless things or in game items that everyone else can get without buying amiibo. I mean, a lot of it's in game here too but it's actually useful stuff that's rare. I was about to scream "Scar!" Then I realized someone already beat me to the punch. Tracking down these Amiibos is an absolute nightmare and it baffles me that Nintendo hasn't opened their own online shop for them yet. On our Amazon (Germany) these bloody things cost 40€, 80€ for the "limited" ones (Like the OoT Link). Im mainly aiming for the clothing parts right now, and all im missing is OoT Link and Rider Link (for the saddles). @JMR_Alden Well, technically, they don't have anything exclusive to them...the BotW ones at least, with Rider Link and the saddles being the only exclusion. So you could say that the articles talked about the BotW Amiibo line, and not the others but yeah, im definitely with you on this one. Its a real pain to track them down. On a side note NL; the Wolf Link description mentions a 'pit of trials' from Twilight Princess HD, but it's actually called the Cave of Shadows. "I have Smash Bros. Link and Wolf Link SCamiibo. Haven't used either. Haven't felt the need. I haven't used my registered horse either though I did build up 100% affinity. I've gone miles off the beaten track, was supposed to go to that first village early in the game, still haven't but have seen other villages, just as well so I left Spotty back at the stables. No way he'd be able to go where I am. This game is a colossal beast." Where did I try to deny anyone the enjoyment of SCamiibo in my above statement? I'm perfectly chilled. And where again in the above statement did I mention anything about useless or expensive? The good thing about this site is we're allowed express an opinion be it positive or negative as long as it's done in a respectful manner. It's partly why the stories get so many comments compared to other sites. Ah, remember on the previous posts that you said Amiibo I mean SCAmiibo are worthless ? Now you like Amiibos ? 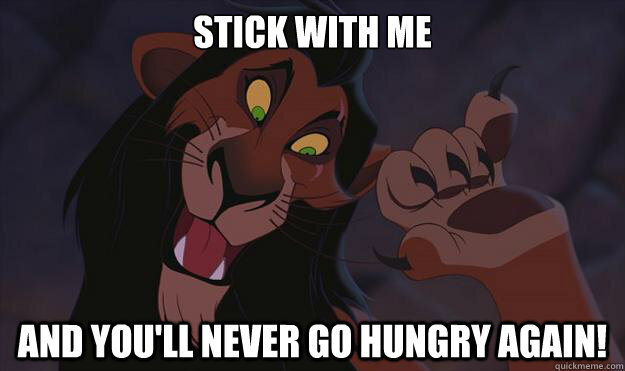 @JaxonH: Only one of the best Disney villains ever! This article says Epona has max stats, but she only has four stars in everything. I don't know how rare a horse with five in everything would be, though, so Epona is certainly a very good horse... just not completely maxed out like it says here. @SLIGEACH_EIRE The constant denigration of amiibo belies your claim that you're perfectly chilled. The guardian amiibo looks pretty cool. Too bad it seems it was released and it never got restocked. I love the amiibo functionality, I score the best gifts from Zelda characters. The rest make it rain meat. I've considered changing the Switch's date after each use to keep going and load up on meat skewers to sell at 120 a pop, but I've yet to test this. @Gridatttack My local Wal-Mart had nothing but Guardians. Kinda pricey, though. Wait a minute! Can the wolf be unlocked in game without the amiibo? I refuse to clutter my place with amiibos. One simple question: All these things, are they also obtainable without Amiibo? @Henmii Nope! The wolf and Epona can only be unlocked with the Amiibo! And thanks to stupid Nintendo and their idiotic business practices, the prices of these two amiibo's have skyrocketed by scalpers! Good luck finding one below 50-80 bucks right now. They even list the Link amiibo now with "unlock Epona" in their description together with inflated prices. I sometimes really hate Nintendo and why they make these Amiibo so limited on purpose. @Anti-Matter are you trolling. This is a Internet forum. Everyone is allowed to have their own opinion. Great prices on those, jesus NL do you really need that much of a cut! @Anti-Matter No. But what did I say in the last post that was so bad? That's what you were responding to. Noo.. I didn't mean that. Sometimes I want to give comment or asking something. Sorry if I was asking too much. Or, you could just have a look on this page for a definitive list of what can drop from each amiibo instead of just the exclusive items. My local Sainsbury's has nearly all the BotW amiibo and some of the amiibo from other Zelda sets too. Might be worth a look for some if you're in a store. 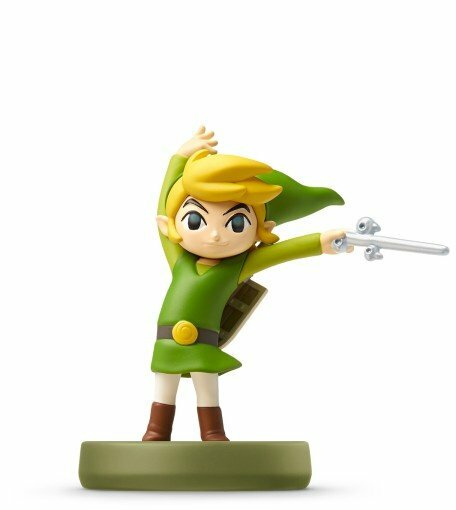 I'm disappointed that Archer Link doesn't have a bowstring. Otherwise, this seems a fairly useful implementation even if it takes half an hour to scan them all in every day. You can save and reload if you don't get the item you want in the chest. Also changing the date on the console let you use the amiibo again, so you can spam them if you want. Oh, I didn't know Wolf Link comes with three hearts by default. I've rarely used it though, just as I've never used the used Smash Link (Epona) that I bought when BotW was released. Surprising to see that the official BotW amiibos aren't that useful. I've actually bought Archer Link and the Guardian just because they look cool. But I desperately need ancient cores, so maybe I should finally use my Guardian amiibo (I always assumed it would have a negative effect). I have yet to scan in my wolf link, maybe I'll give it a try when I fight that Minotaur (forgot name atm). Edit: just scanned it 13 hearts, though it would be more. Now I'm jealous of the people who got 20 hearts without playing Twilight Princess (allegedly). Good guide. I really love how they don't limit you how many amiibo you can scan in per day. Besides the 10 LoZ themed amiibo, I can use the rest of my collection in one day and be useful. I wouldn't do that of course since scanning 75+ amiibo would be a cheat at that point. But the other stuff is unlockable without Amiibo? I'll get the Sheik amiibo, the Guardian amiibo and the Link - Ocarina of Time amiibo when they're restocked. FYI, I tried using the Link amiibo in a town and got a chest instead of a horse. It seems you can't summon the horse in certain places? Kind of annoyed because now I have to wait until tomorrow to try again. Update: Okay, it turns out you can get around that limitation by reloading a save from before using the amiibo, so now I can confirm that the horse fails to summon if you're in Zora's Domain and presumably other locations where horses can't travel. I'm also disappointed that the once-per-day restriction applies to Epona, since you're not gaining anything new by having the horse summoned repeatedly, assuming it only allows one in the game at a time. I was kind of hoping I could use the amiibo to summon my horse anywhere in the world, rather than the extremely limited whistling they put in the game that is all but useless and makes horses completely impractical to bother with. Oh well, looks like I'll be running around on my own two feet everywhere in this game after all. 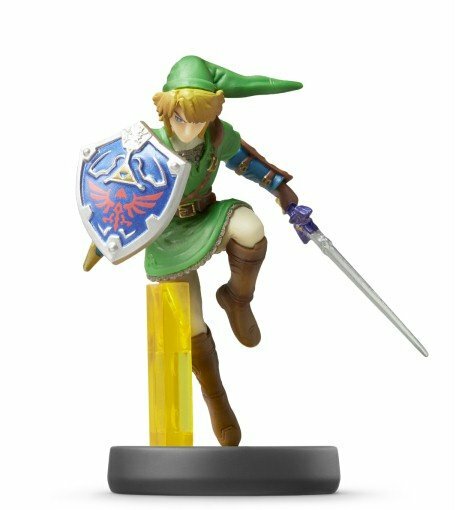 Check Amazon regularly for Amazon itself to sell some of these Amiibo at the original RRP. Whenever Amazon gets a small batch of new stock of certain Amiibo, the warehouse team scan them into the Amazon system one by one; this appears live on the Amazon shopping database at point of scan. Due to high demand, you might see Amazon selling an Amiibo at the correct price, then that listing disappears; someone was fast enough to order. Wait a few minutes and another listing might appear (another Amiibo is scanned in), otherwise keep checking back over the course of the day. 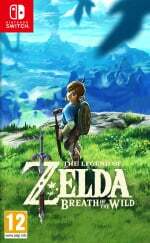 I have successfully bought BotW Rider Link, SSB No.13: Zelda, and TLoZ TP: Wolf Link from Amazon UK itself YESTERDAY. I have paid less than £45 for all three because I paid the original RRP, and as it's from Amazon itself I get all the expected protections too. (I've only a few pieces left to complete what I want for BotW). So, ignore the third party sellers and do regular checks on the Amiibo you want, and good hunting! (P.S. SSB No.23: Sheik, alongside the entire TLoZ 30th Anniversary and Wind Waker collections have not appeared on the Amazon UK system for a while outside of third parties; I believe that these are the hardest ones to find, or they are out-of-print currently). @Baker1000 Thank you for the link dude! 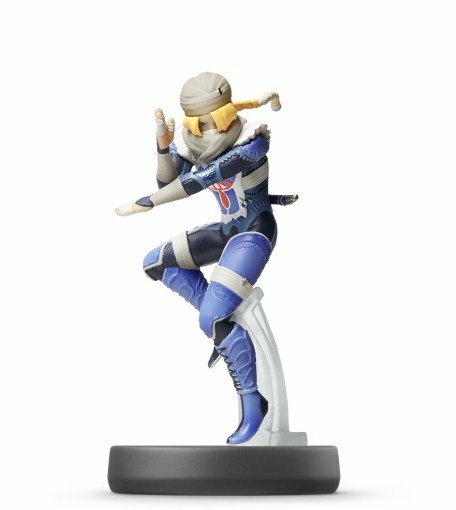 Shiek amiibo is £94.20. Is that all? Sigh, it's honestly getting tiring how bad Nintendo is at handling stock.. Sometimes it feels like they enjoy making their fans miserable. Another interesting bit of information, if you have both the Smash Bros Link and Twilight Princess Link amiibo you can actually have two Eponas at once. I currently have them both at the stable, hoping they don't cause reality to implode due to interdimensional wibbly wobbliness. Bargain, only approx £30-£40 each for the 3 new amiibos from Amazon. Now then. 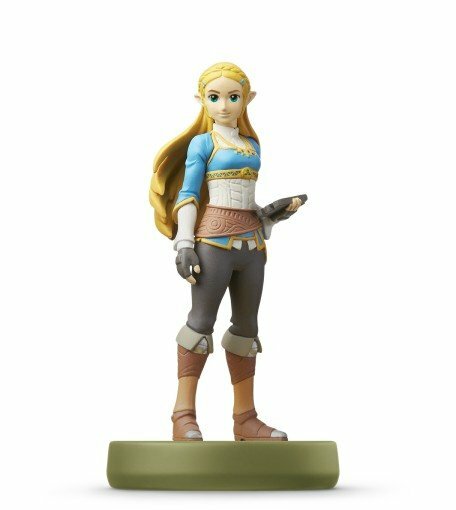 I've enjoyed amiibo so far but how many links do we need? Is there any way of unlocking these items without the amiibo? Will we find them in chests for example? I scanned the majoras mask one but didn't get the fierce diety stuff. Is it random? Dude where did he express hatred in this specific post? He said he hasn't felt he need to use him amiibos and complimented the game. Chill out and stop antagonizing other users. So sick of this crap not even being obtainable. All I wanted was the Majoras Mask amiibo. @RupeeClock It's always cool to see that someone already typed exactly what you were ready to type, word for word. Seriously, though, Nintendo instantly turned the new amiibo into scalper bait just by making them exclusive to specific retailers. When will they freaking learn?! HAVE YOU SEEN HOW MANY PAGES OF ZELDA AMIIBO ARE ON EBAY!? I really need these new Zelda amiibos! Skyward Sword Link should give you a Loftwing to ride on, maybe after you've finished the main story so less cheating. For those eBay prices they should do something worth while. And did the world really need 9 Link amiibo? NINE!! Just make collectibles and let the amiibo toys-to-life lie die away. Do any of these 'Supercharge your gameplay" like the amiibo kiosks say? That's pretty much false advertising at this point, and I took that pic weeks ago, it's not old. FU so hard Nintendo for making the latest wave impossible to find for less than 4 times retail price in America. THREE retailer exclusives on one day. Lamest practice of all time and I just wanna dump my entire collection on Craigslist now. Never realized these were as rare as they are until I checked Amazon. Luckily I've been able to get most of them except sheik over the past two years. I can't understand why anyone would pay those crazy prices but obviously people do it or the prices would be lower. Anyone who thinks these are going to be worth what they are selling for on amazon and eBay in the future are delusional. More than likely a few them will be still be 50 bucks and maybe a small handful worth a hundred. Having said that, the costume unlocks are awesome and hopefully Nintendo treats amiibo the same in other games. Wow, I thought these amiibo only had one piece of equipment like Sheik. Time to start using the rest of them more often. 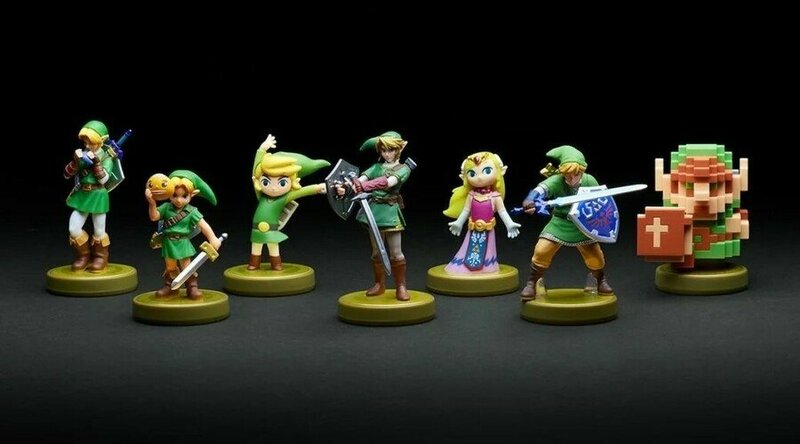 I missed out on the Majora's Mask and Skyward Sword figures....sadness! Nintendo is very smart. I do like what i see.. but it should be an option for people to buy as DLC instead amibo... but hey selling 1 amibo for 1 character/look is around 15 euro... lets get more out of people. So no support from me! I know you can't control it, but I really think you shouldn't be linking to Amazon sellers asking for twice the price and more. Some people will actually buy it out of desperation, and that only encourages it. I just use this http://imgur.com/a/QWNvr a chart with pictures and information. @dok5555555 all amiibo rewards (other than Wolf Link) are random. The amiibo specific items can only come from that amiibo but there's no guarantee you'll get that reward. 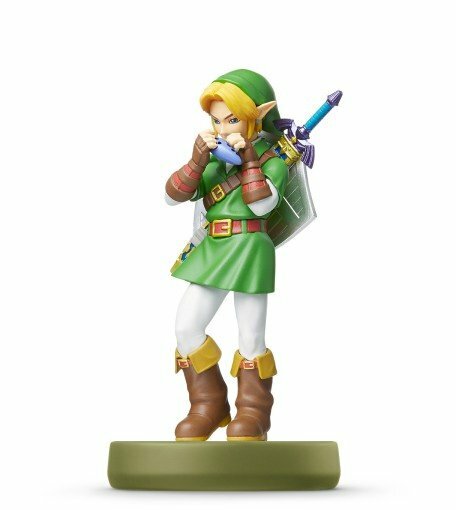 10 different Link amiibo, and I can't find a single one. @ShadJV Ah I see, so it is random, I guess I'll just keep scanning it until they show up. thanks. Prff this is worse than dlc. I have only seen a peach and a marth amiibo in my country. Importing will make the price wild. Zelda can't give the Hylian Shield. It cost me a fortune getting all of these damn things. Sad part is I traded some in to fund my Switch as none of the articles prior to release said they gave you rare as unicorn poop gear. All showed you getting meat or fish or other crap. @PAHTK LEt's watch the profanity on here, please. @Joeynator3000 huh, back in the old days of this site it had an auto star system for swearing. I know because I tested and helped design it. Looks like becoming NintendoLife made them ditch it for some reason. I bought a pack of unofficial Zelda amiibo cards off eBay because I was so sick of waiting for Nintendo to never restock the BOTW ones. 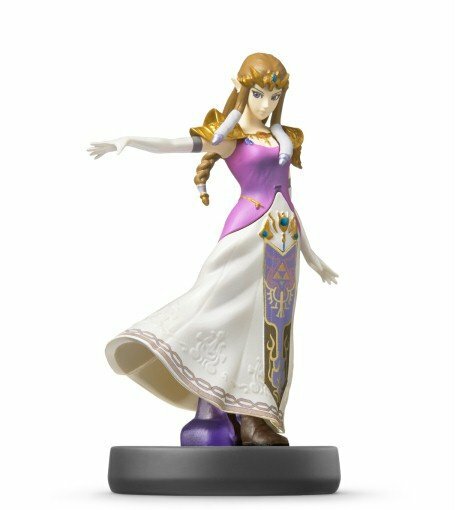 Every Zelda amiibo from day one for £10. If you only want them for the game and not collecting the figures I'd suggest doing this. They work perfectly. @PAHTK Radiant Shield. My bad, fixing it ASAP. @dok5555555 Yes. You never know what's inside the chest, so keep trying and eventually you will have the complete set. Anyone want to trade a Skyward Sword amiibo for my 2nd Majora's Mask amiibo? Helpful guide! I'm going to be needing the Smash Bros link, because Epona. Maybe all the rest too. 22 LOZ amiibo times 13$ equals wayyyyy too much monies tho. Will have to be more choosy than I want to. Its time to collect them all ambios are awesome! 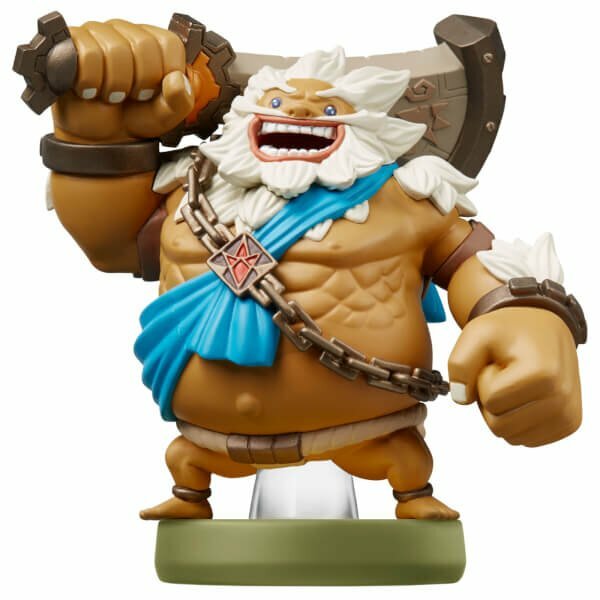 So the champion amiibo just drop one piece of unique equipment? Unless they activate more stuff in the second DLC, they're a bit of a bummer. The champion amiibo helms also give "ancient weapon proficiency" when upgraded to at least two stars in combination with the ancient armor and greaves (also at >2*). It is a pity that the helms do not give you all you could hope for (fireproof, swim-spin attack, freezeproof, shockproof), but it's nice. All I want now is an ancient boomerang to be proficient in and to grab it with magnesis like a buzz saw. I only have a Wario Amiibo, so it's tier one junk for me, I guess. The Divine Helms ingame showcase. And what's the alternative method of buying this content for those who don't want or can't acquire these amiibo? There isn't one. @Shiryu the Vah Medoh one looks great! 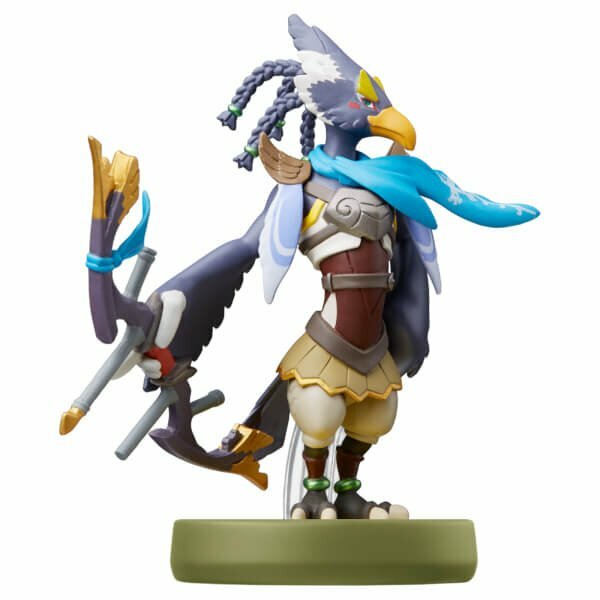 While the helms are great, I do feel these amiibo should've also recharged each of their respective abilities without having to wait, but only once per day (for example the Revali amiibo recharging Revali's Gale). I have every Zelda amiibo now except for the MM, TP, and SS ones - which I'm still searching far and wide for a not-so-ludicrous price. Jesus, the price of some of these. Who is paying upwards of £/$60 for these? @SLIGEACH_EIRE the horse has 100% affinity immediately. Eh, I'm passing on these, all this newer set of the champions really do is act as a nice collectible. Anyone know anything about the ecological aspects of these toys? Recycled? Easy to recycle? 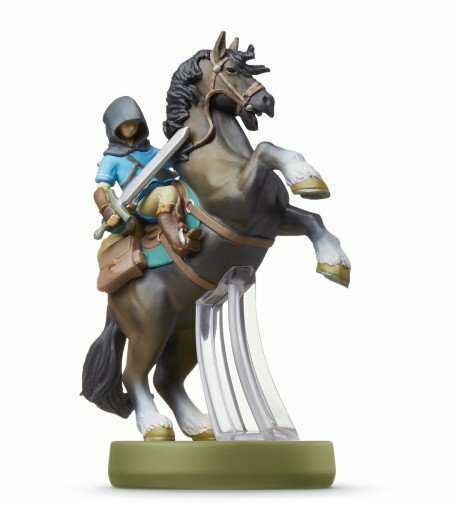 So for the breath of the wild amiibo you are basically paying $15 for a helmet. This is the worst (most expensive) example of DLC I have ever seen. Why does Nintendo get a pass for this? @invictus4000 And a collectable figure. @Mr_Zurkon Because they are also cool looking figurines people like to collect. Pathetic lack of real function for £50; as has become the norm with amiibo. Nintendo just keep stock low on purpose, and know people will buy them even if they do nothing at all. @RainbowGazelle Collecting is not "pathetic"
What ever happened to the: "The Amiibos will unlock items which you will be-able to unlock later in the game" I'm sure they said that before the game came out. @TheLZdragon I never said it wad. I mean the amiibo themselves do pathetically little for the price. I collect lots of stuff. Start new game in TP. Save immediately. Quit to Wii U menu. Boot up the game. Should see the Amiibo logo on the title screen. Press start and it should ask for you to register your Amiibo ( may have to erase the amiibo data first ). Do that and once done quit the game and boot up BotW. Scan the wolf link amiibo. He now has 20 hearts. @Mr_Zurkon How dare you ask such a question!? Dost thou wish to incur the wrath of thine Nintengods!? @SM4SHshorts Same here, those are the only three that have been impossible for me to find. Preorders sold out instantly, and have never seen either of them in store. Toon Zelda gives you the Hero's Shield, eh? What an unexpected Minish Cap reference! @speedracer216 No, you can only scan an amiibo once per day, if you try to do it again, the game simply comes up with a message telling you the amiibo cannot be scanned again for that day. The main difference is there is no limit on how many amiibo you can scan so if you have a ton of amiibos, you can scan them all for a ton of free gifts. I love being baffled by good fortune lol. Someone's auto correct is on the fritz. @Biff_ARMStrong Still doesn’t change the fact that the DLC is the most expensive in the industry. Some of us don’t care about the figures and the only way to get certain content is through amiibo. It is symtamatic of the horrid methods companies use to squeeze more and more money from players. @Mr_Zurkon It's a smart way to make money. None of the content is mandatory. If anything, the content is cheating a little bit. If those amiibos unlocks new enemies in the GAME, like new baddies in the Death Mountain Area, Gerudo and etc...i would get them in a heartbeat. @triforcejunkie Ya I got those Zelda amiibo Cards on Etsy too! They work just like amiibo and its worth every cent. The quality was so good I couldn't believe it. Totally worth it. Here's a question: if I already scanned for Epona and Twilight set in regular difficulty, will I be able to get them in Master difficulty? Well, I'm mostly interested in Epona as I got the amiibo after I already beat the game once and after the DLCs and didn't really get much use out of her. Not to mention doing the whole game in the green outfit (as much as possible anyway) sounds like a fun challenge on top of Master difficulty as well! @Desrever As I found out online she doesn't spawn on Great Plateau? I guess I could keep trying to spawn the Twilight set inside Shrine of Resurrection or directly outside it, to get the full green experience as soon as possible! I've never been able to find half of these (at normal retail price). I found the Zelda ones rather easily -can't say the same for Sonic, Megaman and others I still don't own-, but why this article now? Months after the release of the Champions? Not quite true. The first time I summoned Epona – not knowing I would – I was on a bluff out by Necluda Sea where Horses can't get on or off of. The location was wide and open and I thought it was a great for amiibo, but it trapped my Epona there and I couldn't get her to a stable. I've always used amiibo outside stables ever since. Now, another point wrong with the article itself is that it claims that Epona keeps spawning until you check her in at a stable when you use TP/Smash Link amiibo. This is also not true. I got a crap ton of chests from Smash Link amiibo after that initial Epona spawn before Epona showed up again and I could recruit her. @Markiemania95 here in AU we’re quite lucky. Still readily available for a good half the lineup. Last week my local EB had about half a dozen guardians for sale and most of the champions plus a few others. Seemed like they secured a restock recently. As someone who bought all these amiibo MSRP I'm shocked to see the prices on some of them. I don't often suggest this, but shoot, if they aren't making enough, go ahead and buy those 3rd party NFC chips people load with the data for and put inside cards so you can buy them cheap and get the fun stuff they give you in games....Just wow. $70+ for a lot of them, and most are $30 minimum....lord almighty.